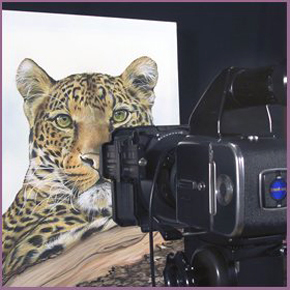 Copying is carried out with Nikon and Hasselblad cameras and optics with results produced on Kodak film. Grey scales and colour patches can be incorporated in the frame for repro use if required. Copying is available from colour or black & white photographs and flat artwork. 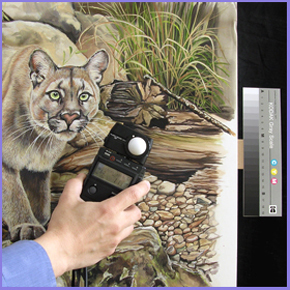 Maximum size of the original should be 30″x20″ or less, and must not be glazed.